Free browsing cheat this year has been really tough. Like seriously, unlike last year where there were numerous cheats to choose from. All hope is not yet lost, we will keep updating you guys on free and cheap browsing cheats as we have them. Works on MTN 3G and 4G sim. >>> Open the app, then tap on Combo Settings and configure this way. >>> Press Generate and Validate and Save. NOTE: This cheat works without data or Airtime 0.0k on your MTN line and it is capped. It is capped around 50Mb to 100Mb daily. It renews daily. That's all friends. If you have any questions, please post them in the comment box below, and don't forget to share this post with your friends. 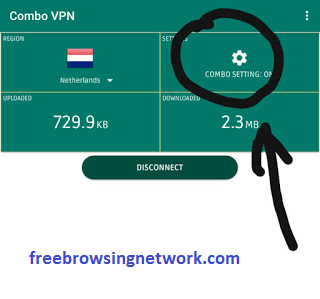 Comment on "New MTN Free Browsing Settings For Combo VPN"